Hunting Friends! My experiences hunting with Darrell have been nothing short of super memorable. If you ever had the desire to be in the great outdoors, calling in bull elk or gobbling turkeys, then I suggest getting to know Darrell. He is very professional, personable, and works hard to see that his clients and friends do well whatever your hunting venture might be. I’ve had the pleasure of hunting with Darrell and have been successful every year. Call him, you’ll be glad you did! Mr. Gilks, I am writing to thank you for my recent successful hunt. As with my previous hunts with you, the accommodations were comfortable, the food was good, the hunting area expansive and the game varied and numerous. Your skilled guides were light-hearted, yet no-nonsense when it came to the things that mattered (I appreciated their, and your, attention to detail and safety)…you all took great care of me! I have met some great people during my hunts with you and would highly recommend your services. Keep up the good work! My son & I have hunted all across Canada and the US, including Alaska and would rate your hunt at the top. I want to thank you for providing such a good hunt for my son and I this fall, we were both able to harvest a fine bull elk with our bows. I was surprised at the number of bulls we saw on our hunt, it was simply amazing! We chose the 1 guide for 2 hunters plan and were completely satisfied with the quality of guide you provided, he was a very good hunter, knew the country well and was very responsive to our thoughts and needs. Another important part of any hunt is being comfortable at camp and having tasty and nutritional meals, again scoring high with us regarding food and accommodations. You certainly know what your doing and do what you say you are going to do, I hope we can hunt with you again soon! Previously to being introduced to Darrell Gilks and his crew I had only ever hunted locally with family and friends. I didn’t know what to expect but after 2 days on the road, my cameraman and I arrived at camp in Colorado, where we were greeted by Darrell & crew. Immediately we knew that we were going to become great, longtime friends. We knew after the first night that if the hunting was as good as the food and the company we were in, this week was going to be great, Darrell didn’t let us down. 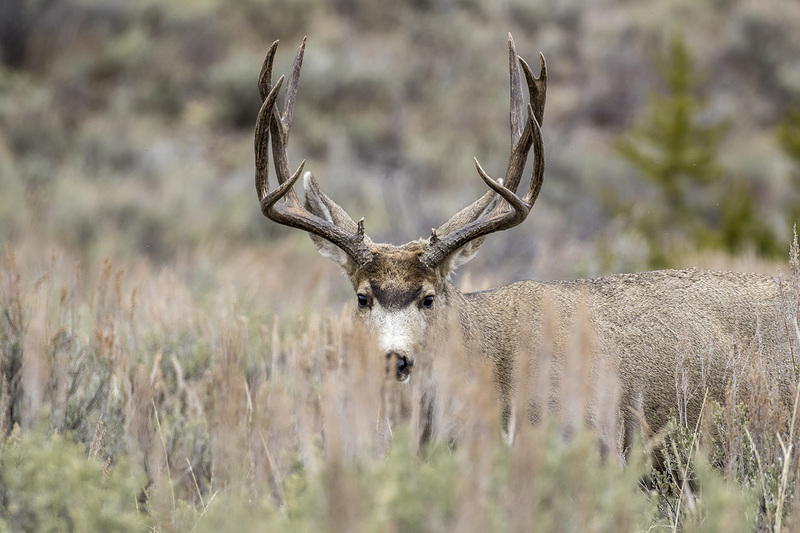 Within a short period of time I harvest my first elk, and a beautiful mule deer, The guide knew every trail within their huge property and with great confidence lead us to beautiful animals. Before we left camp we made plans to return. The only change we made the next year was instead of the long drive we hopped a plane! The friendships were stronger, the food even better and the animals were even bigger! Both my photographer and I harvested beautiful elk the crew made every effort to ensure that our hunt was successful both on the ground and in camp, I am very confident that we will be hunting with Darrell & crew for many years to come and would encourage anyone who has the opportunity to hunt with them to go. Thank you, Darrell, for a wonderful experience and we look forward to many more memories! I have hunted a number of years with Darrell Gilks and have found all the guides to be very knowledgeable and experienced. The hunting area was private and provided excellent hunting conditions. I would highly recommend booking your next hunting adventure with Darrell. Darrell and his team at Soap Mesa Venture led us on a fantastic Colorado hunt. The camp, food, and service were all first class. Darrel, Rick, and Jesse kept us on the animals every day and provided our whole group with multiple opportunities for a successful hunt. I look forward to a future adventure with the Soap Mesa crew. Hunting on Soap Mesa Ranch has been a life changing experience for me. I have hunted on the ranch for 4 year have taken animals all 4 years. But it’s not always about taking animals, meeting new friends and the comradery are all part of the deal. The cabin is very accommodating with a good common area and sleeping area, good food, great outfitter and guides. These guys make you feel like you belong there. If you are looking for a very professional hunt this is the one you have been looking for. Once again the time spent at Soap Mesa with the group, Darrell, Rick, Steve, Jesse, and Jo-Jo was enjoyable. The past years have all had their own memories with the guides, our regular hunting fellows and new hunters. I have always been grateful for the organization, adequate accommodations, management of the resources’ and look forward to participating as long as possible with your organization. Thanks again to everyone for everything. Your friendship is greatly appreciated. See you all in 2019! I would like to thank you, Rick, Jesse, and JoJo for another great year of hunting and just a damn good time. The group, as well as myself, haven’t stopped talking about the great time we had. The food was wonderful and the hunting was exceptional, I think it worked well matching the personalities of our group with the right guides and their abilities as hunters. You and your crew run a first class operation and I will see you next year. Thanks again and have a wonderful holiday season. Wanted to thank you and the guys on an awesome first big game hunt experience. 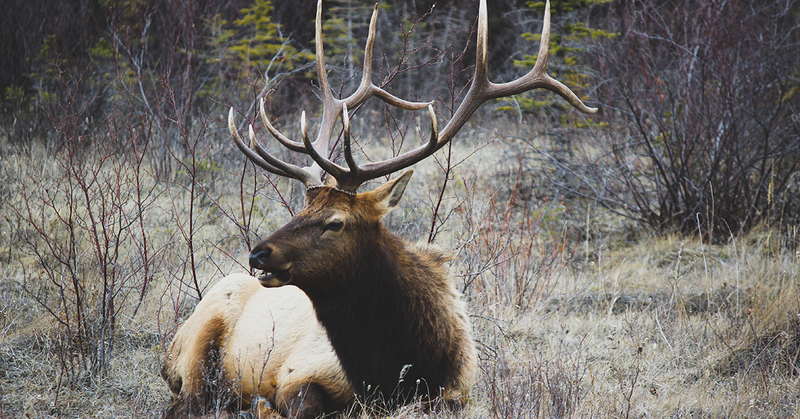 Being more into bird hunting over the years, I have discovered the appeal of hunting deer and elk. Especially at Soap Mesa, CO, in November. What a treat! The number of animals I saw blew me away. I will not soon forget that first morning out with Rick. Rick is an excellent guide and person. He got me into a great position to take a shot at my first elk. With proper coaching, Rick calmly got me on to a good line, and I took it… at 350 yards. Unbelievable!! Then, if that wasn’t good enough, you took me for a late afternoon, early evening attempt for deer at the lower fields below the mesa’s… what a sight… many 3 and 4 point mule deer. And again with proper coaching… drilled my first muley. So to recap… first elk and first deer on the first day of our hunt… pretty damn good, I’d say. I also appreciate what you guys were able to teach us about the area, geology, plant and animal life, and history. Please send my best to Rick and Jessie. Total pros at this game. Also, thank JoJo for the great camp food. You have a top-notch operation Darrell, and I appreciate your efforts to make all of our hunts successful. I’d like to tell you about my hunt with Soap Mesa Outfitters in Colorado. I’ve hunted Oregon, Washington, Idaho, Montana, Wyoming, New Mexico, Canada and Arizona. I have had a lot of success on my hunts but none of them compare to Soap Mesa Outfitters. The cabin we stay in, the guides and our cook are some of the most special people I’ve ever met. To me and my friends who I hunt there with look forward to going back every year. This hunt will always be our first choice. This is some of the most beautiful country, as a hunter, that you will ever see.